The government system provides the bulk of maternal health services. Although the service infrastructure has improved in stages, the availability of maternal health services in rural areas remains poor because of low availability of human resources, especially midwives and clinical specialists, and their non-residence in rural areas. Various national programmes, such as the Family Planning, Child Survival and Safe Motherhood and Reproductive and Child Health, have attempted to improve maternal health; however, they have not made the desired impact either because of an earlier emphasis on ineffective strategies, slow implementation as reflected in the poor use of available resources, or lack of effective ground-level governance, as exemplified by the widespread practice of informally charging users for free services. The availability of safe abortion services is limited, resulting in a large number of informal abortion service providers and unsafe abortions, especially in rural areas. The recent scheme of Janani Suraksha Yojana provides an opportunity to improve maternal and neonatal health, provided the quality issues can be adequately addressed. After the implementation of Jannani Suraksha Yojna there is a 3 fold rise in the institutional deliveries but MMR has not declined appreciably. The possible reason could be poor referral system in the state. ARTH’s focus under this programme is on increasing community awareness of the nuances of referral, the demand for timely and supported referral, and improving accountability of the health system for providing emergency and referral care which is being carried out by orienting community volunteers (Accredited Social Health Activist (ASHA), Civil Society Groups and members of Patient Welfare Committees (Rogi Kalyan Samitis) of participating health centres and hospitals during their regular meetings. Three helpline workers have been placed at each district hospital since 10th November 2014 to receive the pregnant women, help them for their admission and their follow up. They constantly remain in touch with the families of the person requiring emergency obstetric care at the point of arrival at hospital and track daily progress of patients during the period of hospital stay and briefly review clinical records of the patient for procedures. A team of 2 trained professionals visited each listed facility from 4th February 2015 to 30th April 2015 and carried out the baseline assessment of the Community Health Centres, and Primary Health Centres and District Hospitals to assess their readiness for detecting complications, immediate care and referral, including transport arrangements. At the district level: 3 helpline workers have been placed at each District Hospital since 10th of November 2014 to receive the women with maternal complication and guide them to appropriate medical care. 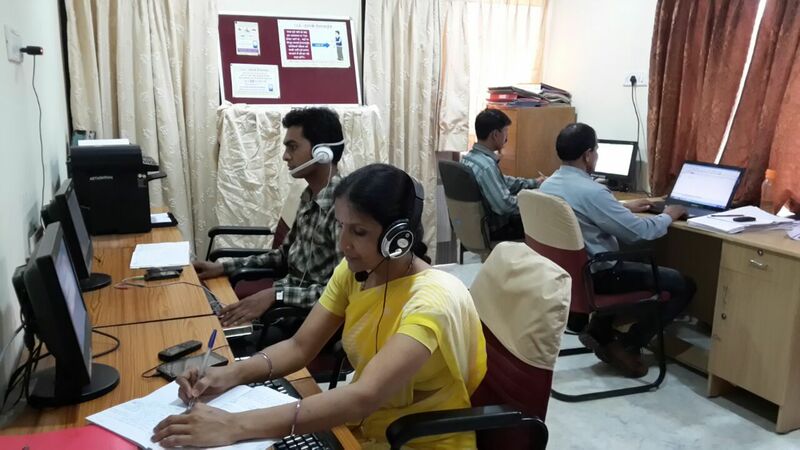 Since June 2015, 2084 patients (Sawai Madhopur 297, Chittorgarh 769, Bharatpur 1018) have been attended by the helpline workers and have guided them for appropriate maternal care. Baseline Assessment of the selected (48) facilities was carried out by a team of 2 trained professionals from 4th February 2015 to 30th April 2015 to assess their readiness for detecting complications, immediate care and referral including transport arrangements. At the community level: Orientation of ASHAs was carried out by 4 ARTH representatives from 25th April 2015 to 30th June 2015 in Chittorgarh = 11, Bharatpur = 10 and Sawai Madhopur=8 which totals to 29 meetings. IEC materials were distributed among the ASHAs to impart the knowledge in the community regarding complications during pregnancy and some case studies from the previous project called PARIJAAT were also distributed to assess the knowledge of the ASHAs regarding maternal complications. Total number of calls received for emergency referral since June 2015 to July 2015 are 203 (majority of the calls were related to maternal complications while few also related to new born emergency referral). Out of which 194 patients reached and were attended at the District hospital and the remaining either went to the Private hospital or other health clinics. Total 185 patients used vehicle provided by 104 to reach the district hospital.